What an amazing piece of paradise. 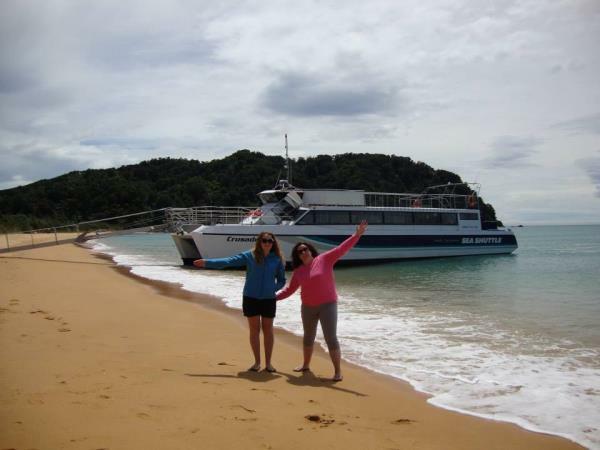 We specialize in taking clients into the Abel Tasman National Park by boat with our customized fleet of ferries and with our sea kayak company, Kaiteriteri Kayaks. It’s an exciting maritime environment and our team take pride in teaching our guests about the area, including the history, landscapes and creatures within it. 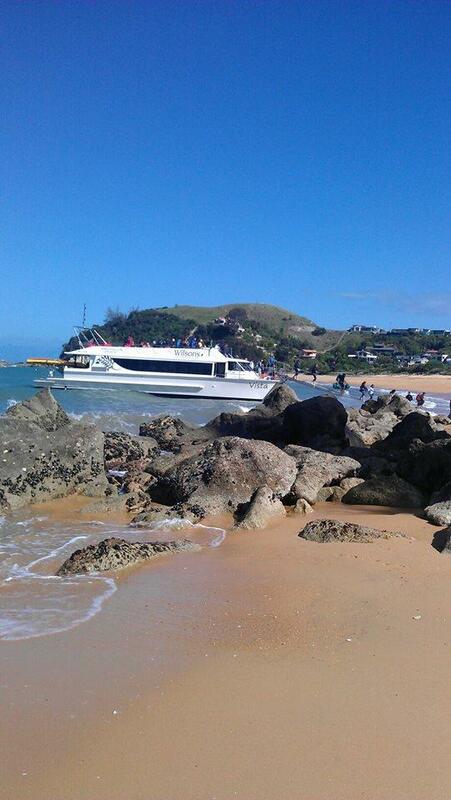 Our trips offer you superb experiences in the Abel Tasman National Park, while traveling on clear, blue water. We have purpose-built catamaran water taxis, with easy walk on-off access for all age groups and our experienced and knowledgeable team will ensure you get the best out of your time in this part of New Zealand. This famous Nelson icon is the perfect place for locals and tourists to experience the creativity and essence of the Nelson region and its local people. Established over 30 years ago by its owner Nita Knight, it has evolved into a bustling, vibrant destination with up to 200 stalls. The emphasis is on regional goods and fresh, seasonal and organic produce along with handcrafted items from some of Nelson's most accomplished craftspeople and artisans. In addition there is Monty's Sunday Market where recycled, vintage, produce and imported goods can be found and your household/garage items turned into dollars. Every Wednesday Rain or Shine the Farmers Market comes to Boulavard on Maitai bringing you local fresh produce and products from all over the top of the south region. Come down have lunch and sample some incredible deals and taste sensations from the people that grew and made the products themselves! When you arrive you will receive a warm welcome, and your on course experience will reflect the very best that links golf has to offer. 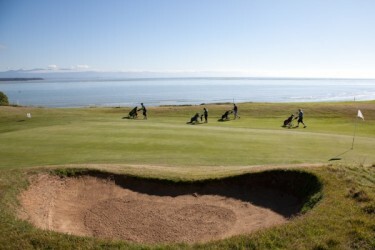 The greens at Nelson Links are superb and the layout is a challenging but fair test for all levels of golfer. Welcome to Wilsons Abel Tasman National Park Our team gives you a warm Kiwi welcome and promises to make your Abel Tasman National Park experience truly memorable. Switch off and enjoy. Let us take care of the details. Much more than a water taxi shuttle service for the same price. Design your own adventure in the National Park. We are the only company to offer the full range of options: walking, sea kayaking, boat cruise, water taxi and the only lodge accommodation right on the beach within the boundaries of the National Park. Interesting historical displays, creative artists and artisans, and Founders own brewery and café make for a fun, fascinating experience for young and old. What a lovely afternoon with the family, enjoying the charms of days gone by. Explore displays of Nelson's heritage and learn the stories of our local people. 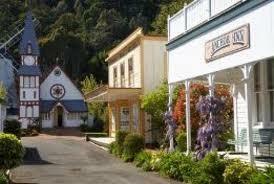 Visit our businesses and artisans in character buildings. Take a ride on the train and relax at the award winning Founders Brewery Cafe & Bar, set in quaint streets amongst village greens and beautiful well established gardens. The Centre of New Zealand on Botanical Hill is one of Nelson’s most popular walks. The starting point is the Botanical Reserve, over a footbridge from the end of Hardy Street, or you can start at the Nelson Visitor Information Centre and follow the Maitai Walkway to the Hardy Street footbridge. Take a look at the interpretive panel at the bottom of the hill for some views of Nelson over the last century, and the history of this ‘Village Green’. To reach the Centre of New Zealand will take 20-60 minutes, depending on your age, speed and fitness. The main track is suitable for sturdier push chairs and buggies. At the top take a seat, enjoy the stunning view and pick out the features of Nelson’s geography from the information panels.You can go downhill on one of the other tracks on the Botanical Hill, or opt to head along the hillside to Walters Bluff. A good summer option is to take your togs, walk down the eastern side of the hill to Branford Park, have a swim at Black Hole and take the Maitai Track back to your starting point. The name reflects the work of John Spence Browning the Chief Surveyor for Nelson in the 1870's. He used the top of the hill as a central survey point for doing the first geodetic survey of New Zealand when earlier isolated surveys where combined. A survey in 1962 located the centre of New Zealand at 41deg. 30min S., 172deg. 50min E., which is a point in the Spooners Range in the Golden Downs Forest. The survey did not include the Chathams. Delicious meals, courtesy van pick up/drop off service, 10 tap beers plus extensive wine list. Legendary southern hospitality. 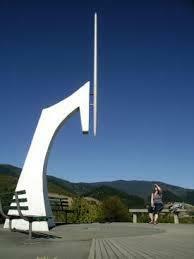 Greens Motel is located only 5mins drive from this famous South Island restaurant - or use their courtesy van pick up. Greens Motel is an official accommodation partner for the New Zealand Cycle Trails Heart of Biking Nelson/Tasman. The Nelson Region is the heart of biking in New Zealand. It's home to two great rides; the family friendly Tasman's Great Taste Trail and the exhilarating and historically rich Dun Mountain Trail, all within easy ride from Nelson Airport. The team at Nelson Cycle Hire are located near the Nelson Airport. This allows them to provide bikes for Greens Motel guests. They are happy to deliver, and pick up bikes from the motel as well as proving top notch information on some of the best rides around the Nelson region. 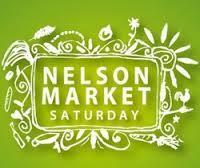 A must do around Nelson. Beer has been central to the local culture of the Nelson-Tasman region. 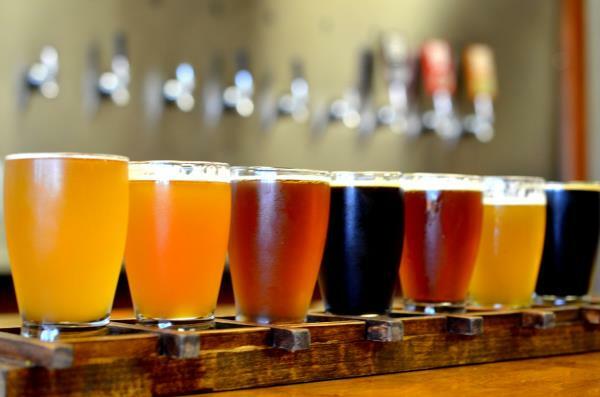 With the resurgence of the NZ Craft Beer Market it is time to take a day trip and visit many of the local breweries. Discuss why NZ Hops made world class beer and soak up the scenery. The World of Wearable Art and Classic Cars Museum is an iconic ‘must see’ Nelson NZ visitor attraction that celebrates two distinctly different passions. A world class collection of classic cars can be viewed alongside incredible wearable works of art from all around the globe. Come and visit the location where WOW began back in 1987. 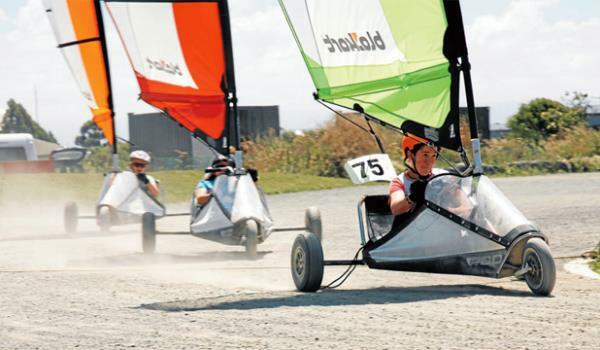 Looking to try sailing a land yacht, why not try our blokarts? VORTEX is Nelson's power craze on wheels! Wind Karting at its best on a purpose built track located on the outskirts of Richmond. Go wild in the eye of the storm - THE VORTEX - or cruise along on a gentle Tasman Bay breeze... wind karting is fun in any wind. Wind karting is a breeze to learn... you'll pick it up in minutes!